The final installment in the Legends In Stone, hardbound, full color and limited to 1500 signed and numbered copies. 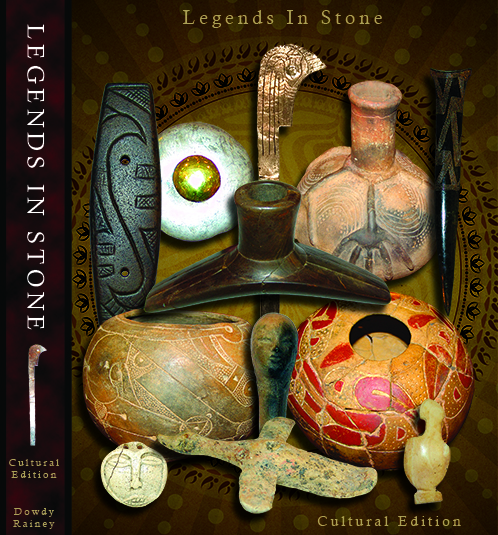 This volume is 400 full color pages of the finest pottery, gorgets, pipes, plummets, bannerstones, bone and shell artifacts, and is the largest publication of Tick Island relics, by far, ever published. Also highlights many Woodland and Mississippian points and projectiles, as well as many contributions made by amateurs to the preservation of the archaeological record. A MUST HAVE for any serious artifact enthusiast!